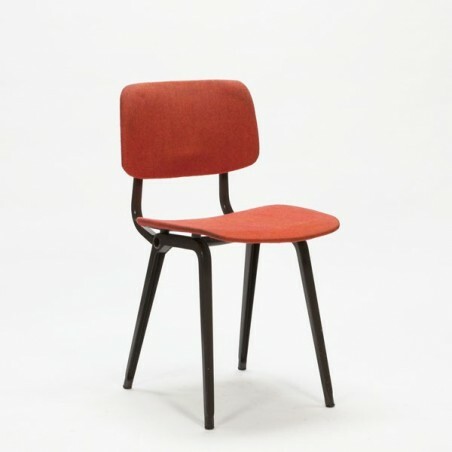 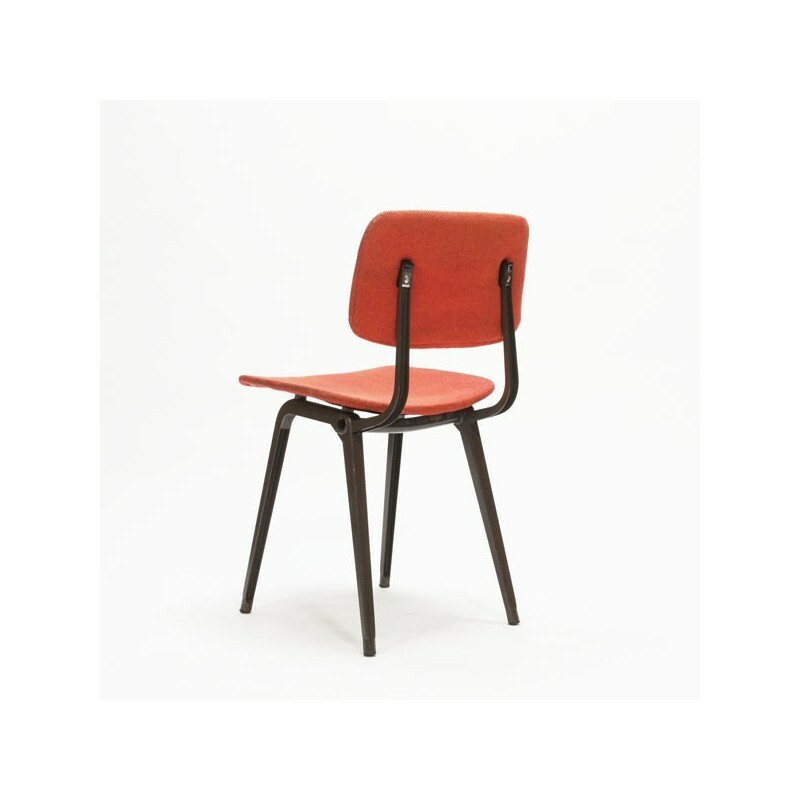 Dutch design chair, the Revolt chair, designed by the Dutch designer Friso Kramer in 1954 for Ahrend The Cirkel. 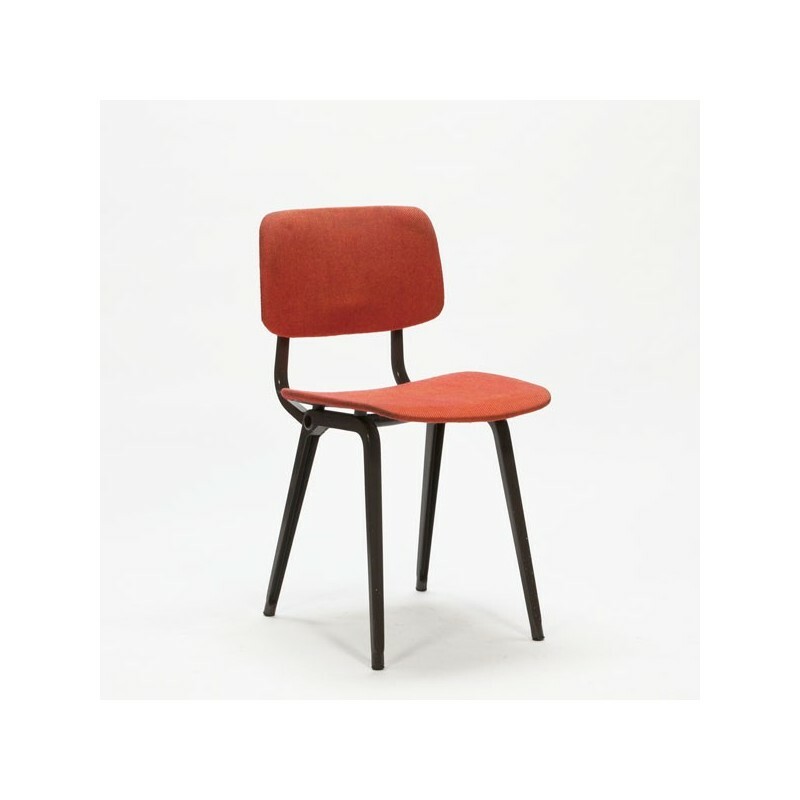 This chair has a brown base and an orange / red fabric seat and backrest. The condition is good considering the age, see the detailed pictures. 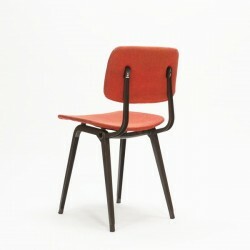 The size of the chair: width 43 ​​cm, height 48 cm and the total height is 78.5 cm.